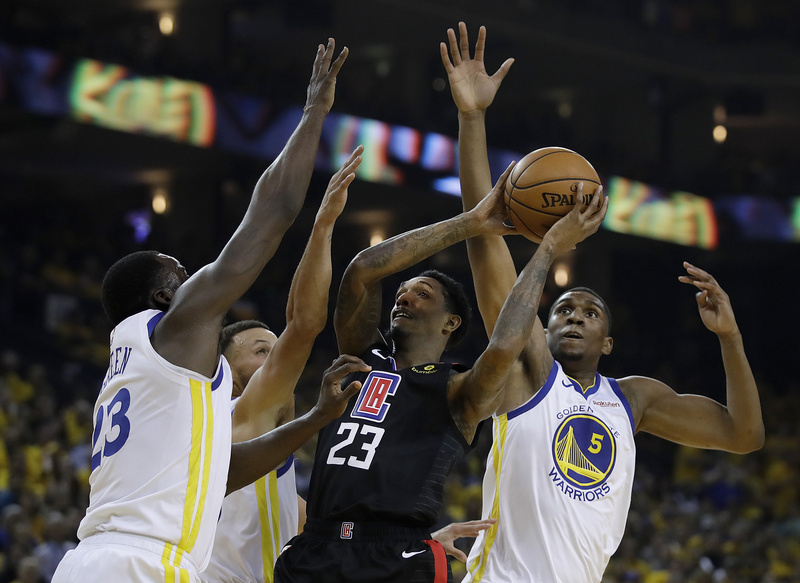 OAKLAND, Calif. (KGO) -- The Golden State Warriors start their seventh consecutive playoff appearance with a W.
They defeated the Los Angeles Clippers 121-104 at home in Oakland. The route was punctuated by Stephen Curry making history - From downtown he passed legend Ray Allen for most career postseason threes. The final score may not show it, but at times, the Clippers made this one interesting. They held on for much of the first half, but the Warriors pulled away with an 11-0 run and never looked back. Notorious defensive "pest" Patrick Beverley was up to his usual business - He and Kevin Durant went at it all game long. Eventually the referees got sick of it and they were both ejected in the 4th quarter. Stay with us "After the Game" with Larry Beil, Adonal Foyle and Kerry Keating for all the best highlights and interviews with Mindi Bach from Oracle Arena.